- Designed for fast and accurate length determination of elements to be cut, such as tubes, aluminium profiles, and wood. 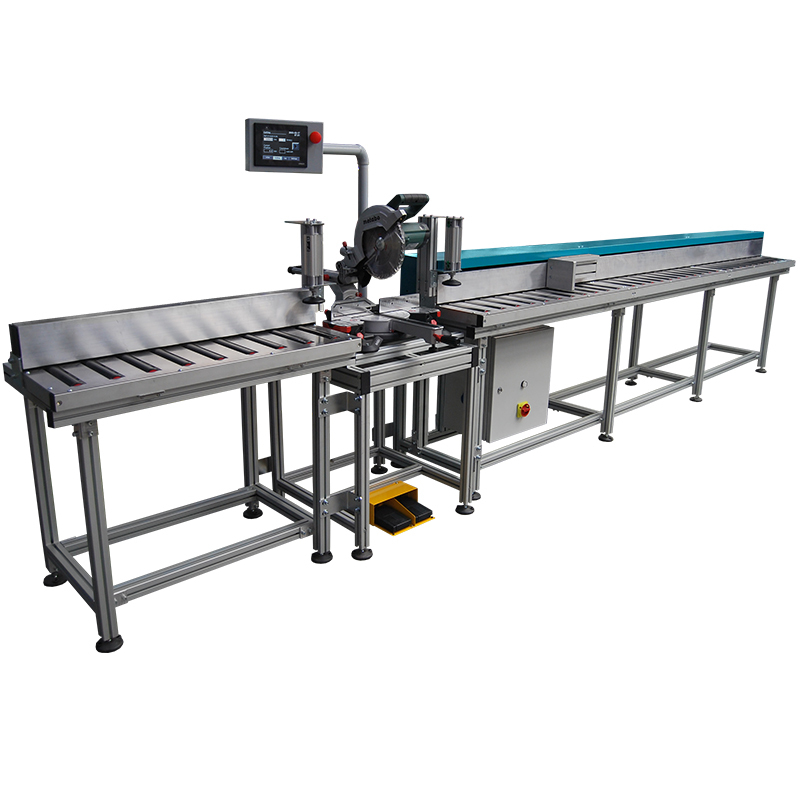 - Other versions of equipment available: for measurement control (without saw), different tables for saw (or any other machine) can be made on demand. - The tabletop with rollers. - The counter will calculate the cuts made by machine and will signal on end of a series of cutting. - Easy and user-friendly touchscreen panel interface (available in Polish, English, German or Russian, other languages on demand). - The cutting history is stored inside panel on replaceable flash-drive. - (Optional) barcode scanner – for value input automatisation. - Positioning accuracy to 0.3 mm/m. - Bumper movement speed can be adjusted according to individual preferences. - The construction is made of anodized aluminium with a possibility to be mounted to the floor.